Mars may still have an active groundwater system deep below the surface, and could be feeding surface streams in some areas on the Red Planet, a study has found. Last year, researchers detected the presence of a deep-water lake on Mars under its south polar ice caps. 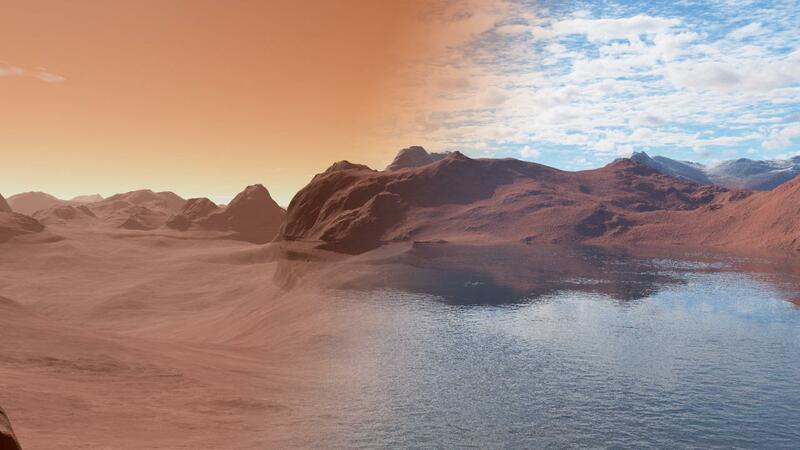 Researchers at the University of Southern California (USC) in the US determined that groundwater likely exists in a broader geographical area than just the poles of Mars. They found that there is an active system, as deep as 750 metres, from which groundwater comes to the surface through cracks in the specific craters they analysed. Researchers studied the characteristics of Mars Recurrent Slope Linea, which are akin to dried, short streams of water that appear on some crater walls on Mars. Scientists previously thought these features were affiliated with surface water flow or close subsurface water flow, said Essam Heggy, member of the Mars Express Sounding radar experiment MARSIS probing Mars subsurface. "We suggest that this may not be true. We propose an alternative hypothesis that they originate from a deep pressurized groundwater source which comes to the surface moving upward along ground cracks," Heggy said. "The experience we gained from our research in desert hydrology was the cornerstone in reaching this conclusion," said Abotalib Z Abotalib, a postdoctoral research associate at USC. "We have seen the same mechanisms in the North African Sahara and in the Arabian Peninsula, and it helped us explore the same mechanism on Mars," Abotalib said. The scientists concluded that fractures within some of Mars' craters, enabled water springs to rise up to the surface as a result of pressure deep below. These springs leaked onto the surface, generating the sharp and distinct linear features found on the walls of these craters. The scientists also provide an explanation on how these water features fluctuate with seasonality on Mars. The findings suggest that the exposed part of these ground fractures associated with these springs as the primary location candidates to explore Mars' habitability. Previous research to explore groundwater on Mars relied on interpreting the returned electromagnetic echoes sent from the radar-probing experiments from orbit onboard Mars Express and Mars Reconnaissance Orbiter. These experiments measured the reflection of the waves from both the surface and the subsurface whenever penetration was possible. However, this earlier method did not yet provide evidence of groundwater occurrence beyond the 2018 South Pole detection.